Rodarte Fall 2012 Collection fashion show during Mercedes-Benz Fashion Week in New York City. The Proenza Schouler Fall 2012 Collection fashion show during Mercedes-Benz Fashion Week in New York City. Cosmopolitan Fun Fearless Men and Women of 2012 in New York City. The 23rd Annual Gay & Lesbian Alliance Against Defamation Media Awards in New York City. Marc Jacobs Fall 2012 Collection fashion show in New York City. The Elie Saab private dinner in New York City. 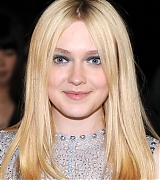 The 2012 Tribeca Film Festival Vanity Fair Party in New York City. The 6th annual DKMS Linked Against Blood Cancer gala in New York City. The 98th Annual White House Correspondents' Association Dinner in Washington, D.C. The "Schiaparelli and Prada: Impossible Conversations" Costume Institute Gala in New York City. The 2012 Council of Fashion Designers of America Fashion Awards in New York City. The 40th American Film Institute Life Achievement Award Honoring Shirley MacLaine in Los Angeles, California. 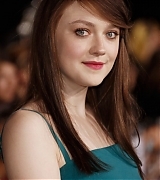 "Now Is Good" premiere in Manchester, England. 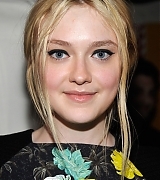 "Now Is Good" premiere in London, England. Oct 08 | NYFF 50th Anniversary Surprise Screening Of "Lincoln"
The New York Film Festival 50th Anniversary surprise screening of "Lincoln" in New York City. "The Twilight Saga: Breaking Dawn - Part 2" premiere in Los Angeles, California. The 9th Annual Council of Fashion Designers of America/Vogue Fashion Fund Awards in New York City. The Cinema Society with the Hollywood Reporter and Samsung Galaxy host a screening of "The Twilight Saga: Breaking Dawn - Part 2" in New York City. There are 11 registered users. The newest registered user is Paige. In total there are 104 visitors online: 0 registered users and 104 guests. Most users ever online: 290 on 08/25/18 at 04:14. Registered users who have been online in the past 10 minutes: .